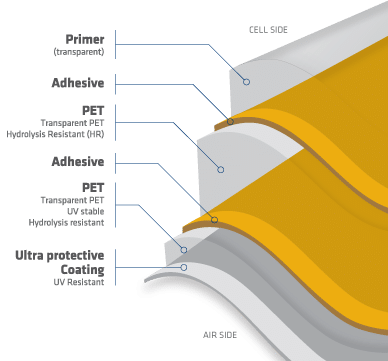 For the photovoltaic industry Coveme produces sophisticated multilayer laminates, so-called backsheets. 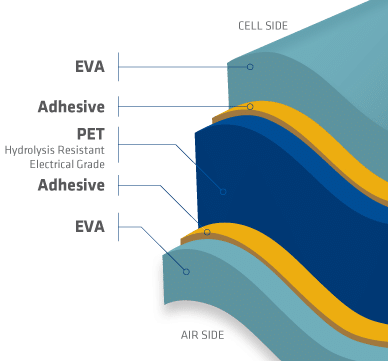 They function as electrical insulator and protect the solar cells from humidity and harsh environments. This guarantees the solar module’s durability and correct functioning over the time. 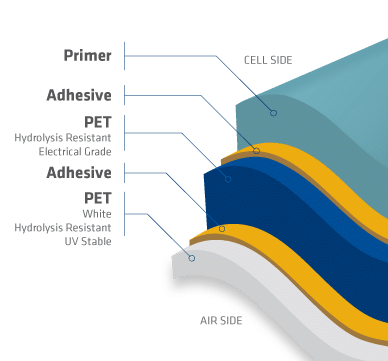 Coveme is one of the top three backsheet manufacturers worldwide and has a 18GW in-house production capacity in its two manufacturing sites in Italy and China. Coveme backsheets are produced in a fully automated process in customized rolls, sheets and punched formats. The value for money of a PV investment is strongly influenced by initial cost (investment) and the return of the investment (profit) which depends on performances (energy output), time and costs for maintenance. 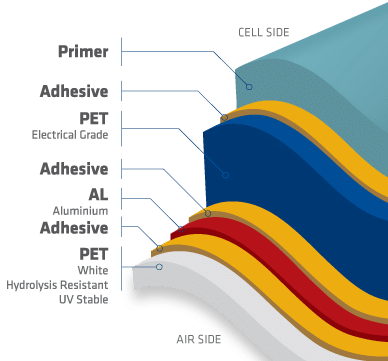 The right choice of the backsheet material strongly influences all these parameters, which is why Coveme does not compromise in quality. Coveme has a long history of high quality standard backsheet and can assist in the right choice to maximize the profit and minimize the risk. To choose the proper high quality backsheet with the best balance in performances and price means getting high ROI. 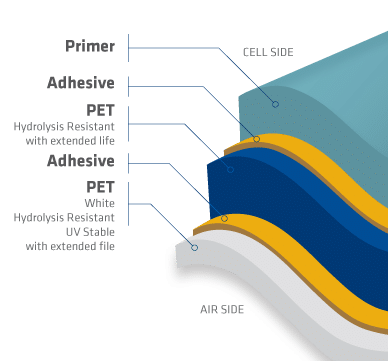 The dyMat® backsheet range offers solutions for rooftop, utility, commercial and BIPV applications as well as 1500VDC, HIT, IBC, Bifacial and PERC technologies, whereas the EBfoil® product range is dedicated to backcontact.